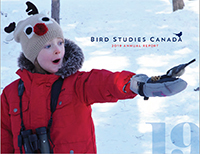 Bird Studies Canada is our country’s leading science-based bird conservation organization. Our mission is to conserve wild birds of Canada through sound science, on-the-ground actions, innovative partnerships, public engagement, and science-based advocacy. Watching birds is more popular than ever! 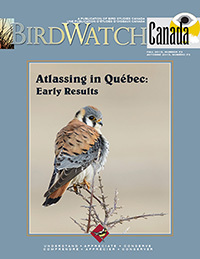 Tens of thousands of Canadians share their energy, skill, and bird observations through Bird Studies Canada's bird surveys. These "Citizen Scientists" provide a tremendous service by volunteering their time to track the health of bird populations. Using data from our targeted research initiatives and Citizen Science programs, and in collaboration with conservation partners, our scientists monitor bird population trends, investigate declines, and recommend actions to protect the health of ecosystems we all depend on. Our educational programs combine bird research, Citizen Science, mentoring opportunities, school programs, public events, and workshops to provide engaging experiences that foster awareness, appreciation, and stewardship of birds and nature. You can play an important role in conserving Canada's wild birds! 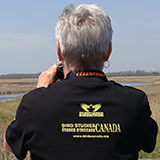 Bird Studies Canada supporters provide charitable donations as well as making valuable Citizen Science contributions. Our nationwide programs are focused on the highest-priority conservation needs for birds. Make a difference and support our research and conservation work. Become a member and participate in any of our Citizen Science programs for free. Bird Studies Canada conserves wild birds through sound science, on-the-ground actions, innovative partnerships, public engagement, and science-based advocacy. Gather your friends, co-workers, and family and join the 2019 Great Canadian Birdathon. No experience is necessary – we'll help you get started. 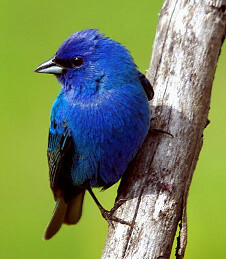 Enjoy a day of birding while raising essential funds for bird conservation! Learn More. 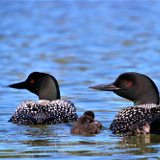 If you are heading to a lake this summer, please consider counting and recording how many loons you see as a participant in the Canadian Lakes Loon Survey. This program provides important insight into the health of our lakes as well as this iconic species. Learn More. Learn about our programs and activities through our newsletter.